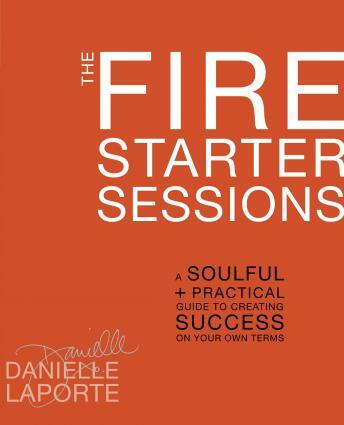 The Fire Starter Sessions is an apathy-kicking, integrity-infusing guide to defining success on your own terms. - Life balance is a myth, and the pursuit of it is causing us more stress then the craving for balance itself. - Being well-rounded is over-rated. When you focus on developing your true strengths, you enter your mastery zone. - Screw your principles (they might be holding you back). - We have ambition backwards. Getting clear on how you want to feel in your life + work is more important than setting goals. It's the most potent form of clarity that you can have, and it's what leads to true fulfillment. I love this book. The narrator is the author. She speaks like she talks all the time. Business content excellent , reader style more appropriate to a romance novel. Easily my favorite audio book. Bravo Danielle Laporte. the reader needs to read the book as a business book and not like mills and boons. she is sounding more seductive than anything else.